It is not only a diplomatic crisis, but a crisis for free expression in an already restrictive region. As some analysts have pointed out, the singling out of Qatar has as much to do with the country’s alleged support of terrorism as it does with neighboring countries’ desire to shutter Al Jazeera, Qatar’s flagship media organization. Al Jazeera, a comprehensive media outlet funded by the Qatari government with several international satellite television channels, websites, and online video operations, is not exactly a beacon of free expression—it rarely reports negatively on Qatar or other Gulf countries, for example—but it has stood strong in its reporting on the Arab region and much of the world, covering topics that other outlets often ignore. Although the country restricts access to some websites and outlaws criticism of its rulers, it has nevertheless set itself apart as a regional media leader. Al Araby Al Jadeed (“The New Arab”) and Huffington Post Arabi are just two of the online media outlets to emerge from the country in recent years. Its Gulf neighbors—namely Saudi Arabia, Bahrain, and the United Arab Emirates (UAE)—offer a much more restrictive online environment, with each blocking numerous websites, including international media. Now, as they seek to isolate Qatar, they’re homing in on its media and using the internet as a means to an end. It all began just a few days after President Trump’s May 22 meeting with Gulf leaders in Saudi Arabia, when Qatar News Agency (QNA) published comments critical of the United States attributed to the country’s ruler, Emir Sheikh Tamim bin Hamad Al Thani. Al Jazeera claimed QNA's site had been hacked, but satellite channels from the UAE and Saudi Arabia reported the comments as legitimate and subsequently blocked Al Jazeera’s main website on May 24. From there, things escalated quickly: on May 25, Egypt blocked access to Al Jazeera and other Qatari-funded news sites, and took the opportunity to also block local independent site Mada Masr. Saudi Arabia and Jordan followed suit by revoking Al Jazeera’s license and closing its offices. And now, under the pretext of cybercrime (a favored means of repression in the region), Qatar’s neighbors are seeking to prosecute anyone who speaks favorably about the country. The UAE has threatened up to 15 years in prison or debilitating fines for anyone who shows sympathy to embattled Qatar, while Bahrain’s Ministry of Interior announced penalties of up to five years imprisonment on their website. 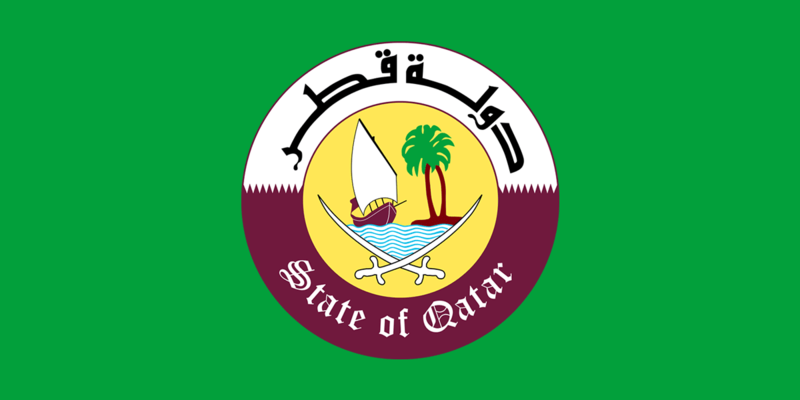 SaudiNews tweeted that the government of Saudi Arabia would impose up to five years imprisonment for pro-Qatar speech as well, on the grounds of the country’s 2007 cybercrime law, which bans “material impinging on public order.” The kingdom took their restrictions a step further, banning satellite TV from hotels to prevent visitors from watching Al Jazeera. Finally, on June 8, Al Jazeera suffered a massive cyberattack. These restrictions, as well as restrictions on travel to and from Qatar, are pushing the embattled country into isolation and threatening the economy and livelihood of Qatar’s residents and citizens. But they also set a dangerous precedent in an already extremely restrictive environment for freedom of expression: the use of economic and travel sanctions to shut down a powerful media outlet and further, punish anyone who speaks out against that act.